In 2013 alone, Bruce Clay, Inc. published 183 posts on this blog for our tens of thousands of readers. All this content that details SEO, PPC, SMM and content marketing best practices comes free of charge and without strings — why? Learn the basics of keyword research, from brainstorming to refinement to analytics. When you work for Bruce Clay, Inc., you learn a lot — discover 100 exclusive lessons learned in 100 days behind the scenes at BCI — with special appearances by Matt Cutts and Ryan Gosling. This Google Places guide takes the guesswork out of creating and optimizing your local business listing. Drive traffic to your videos with these SEO strategies, including language optimization, captions, script inclusion, sitemaps and more. Implementing Google Analytics tracking codes affords you a granular snapshot of your referral traffic — learn how to create them. Discover Google’s preference when it comes to mobile sites, how to implement it and why it matters. Learn five strategies that keep visitors on your site via an optimized Thank You page. With this outline, learn to think like a content strategist and identify opportunities for growth and engagement. Learn how to make engaging infographics using Piktochart — without spending a dime. Get in front of your readers and increase traffic with these five community-minded strategies. New to Twitter? Get the 411 on the best practices that get you started and get you followed. Learn how to analyze your Facebook Page’s performance, and what influences a Facebook Page’s ranking. In July, LinkedIn rolled out its rich media tool, which allows users to create portfolios within their profiles with photos, videos and links — learn how to optimize your own LinkedIn profile with this new functionality. Discover how to leverage five AdWords features that will take your PPC campaigns to the next level. With this guide, learn how to amplify your PPC by establishing your budget, strategizing your keywords, creating relevant ad copy that sparkles and monitoring your goals. What Is SEM, and Does SEM Include SEO? Delve into the difference search engine optimization and search engine marketing. Find out what Matt Cutts had to say at the recent Las Vegas Pubcon — and how Google is thinking bigger than ever. 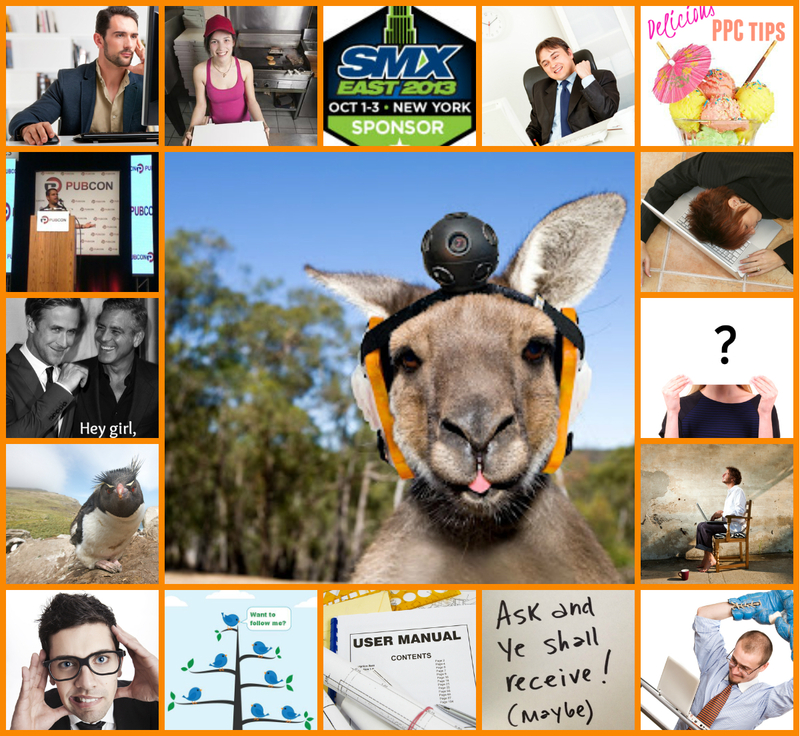 #SMX East Conversation: Where’s SEO Going in 2014? The liveblog of this session includes wisdom from Danny Sullivan, Brian White, Greg Boser, Duane Forrester and Rhea Drysdale. Find out how the Periodic Table of SEO Success Factors was updated for 2013. What was your favorite SEO Blog Post of 2013? What would you like to see written about in 2014? Share with us in the comments. Thanks a lot. It’s a great help to me. You have provided lots of blog here seo related, which is very helpful to me. thanks for compiling this list up. Well, lets see how Google will change stuff in 2014 and for how long current algoriths work.. Thanks Kristi for this info. As you have mentioned all top seo blogs of 2013 here, I can get lot of tips and points which I skipped this year while performing my job as a internet marketer. Special thanks for 10 Video SEO Tips to Improve Rank and User Experience. This info which you have provided helped me a lot when I was explaining SEO strategy to my team. Very informative post. Thanks for listing these tops blog posts with us. I would like to read your more posts. Keep them coming in future too. In kingged.com – the Internet marketing content syndication website, this post was shared and the above comment left.